I just want to drop a note to stay in touch. Winchester is just great. We’re approaching his third birthday. He’s sitting next to me sucking on his blanket, glad to have mommy home. He’s such a good boy. 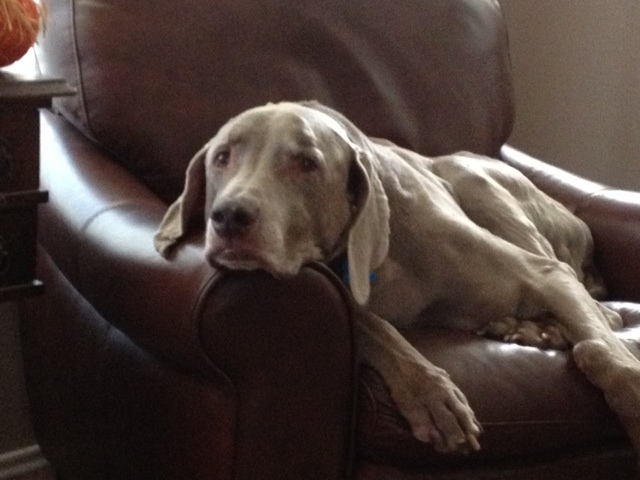 Bruno turned 15 in February. Everyday is a gift. Most days he just sleeps and then has goofy bursts of energy. 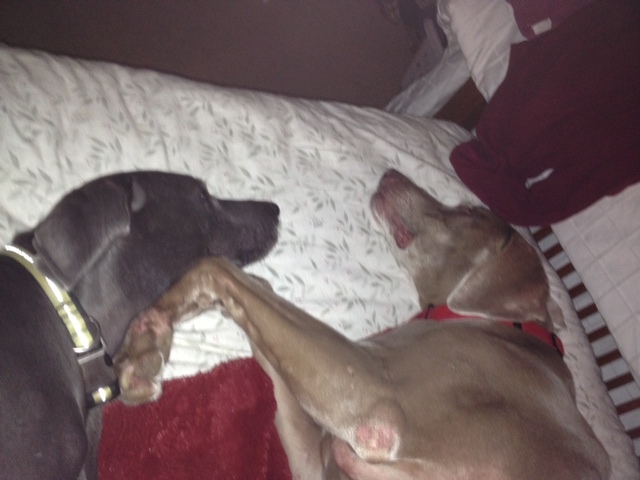 I’ve sent a photo of the two taking over the bed when my husband is out of town. They just know. 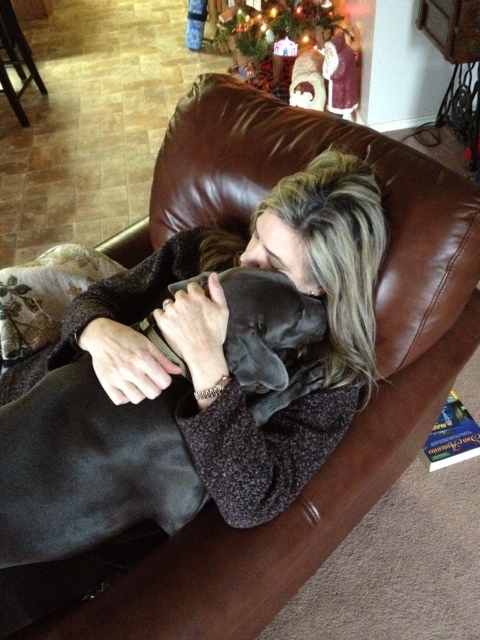 Winchester is a Snuggle Bug…. 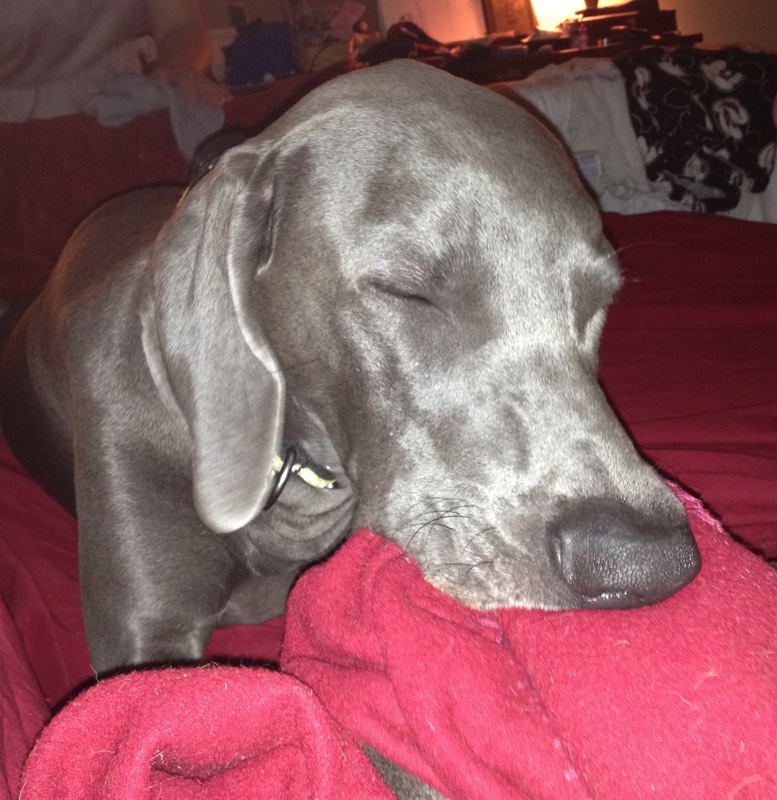 We talking a bit about getting another Weimaraner. It’s a bit difficult because I love my old guy so much. Winchester has his Chicago cousins on town to play with but it’s not the same. When I leave for work, Winchester is kenneled and Bruno lays down next to him on the floor. I know when the time is right things will fall into place. For now all is well.